How Do I Use the Receiving Checklist? What is & How to use your 'My Orders' section to notify us of your deliver experience. 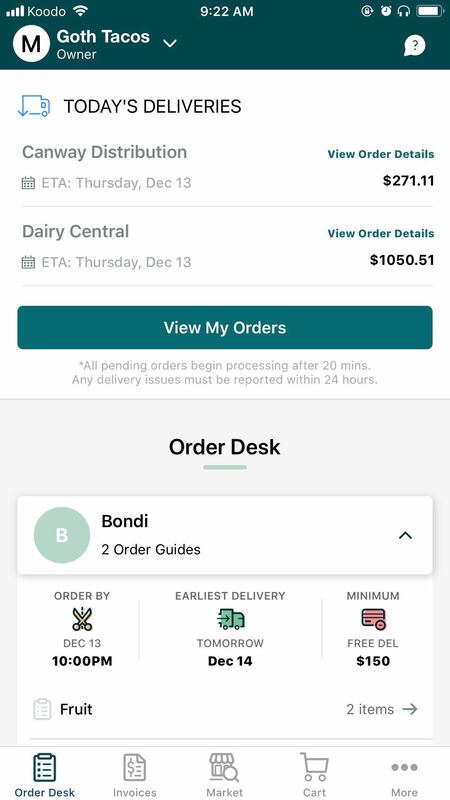 Use the "Receiving Checklist" on your ChefHero mobile app to confirm a delivery, submit a "Dispute". This is our version of the digital packing slip you would normally receive from the delivery driver. The "Receiving Checklist" is only available on the mobile app platform at this time. Step 1: Accessing "My Orders"
✔ From the "Order desk", tap "View My Orders" to view that days deliveries. ✔ Taping on "I've Received My Order" will confirm that your order was delivered and allow you to move forward. ✔ You can then review your order immediately or later that day. Please keep in mind that all orders must be reviewed and any disputes submitted within our 24 Hour Policy window to ensure any issues are resolved in a timely manner. ✔ Selecting the "X" beside any item will start a workflow to inform us of any issues with that item. ✔ Follow the flow to inform us of the issue and the possible solution you prefer. Finish by tapping "Report Issue"
✔ You can always go back an adjust the dispute or save the entire review to be done at a later time. Please keep in mind that the review process is only available for 24 hours after the day of delivery, so keep an eye on the "time to review"
✔ To complete the process, tap "Submit" then "Yes" to confirm. ✔ If there are no issues to report, you can tap "Submit" then "Yes" and omit reporting issues. Please keep in mind that only ONE review can be submitted per order. If you discover any further issues after the review is submitted, please don't hesitate to contact our support team! ✔ You've now successfully reviewed your delivery and informed ChefHero of any problems along the way! ✔ Please don't hesitate to contact our support team via web [https://chefhero.com], email [support@chefhero.com], phone [Toll Free: 1 833-327-2875 or Local: 647-930-0210], or our 24/7 in-app chat if you have any additional question or concerns!